The final piece of the 20th Anniversary 'Cases' Rebels has fallen into place with the return of a former club favourite. Kurtz made 48 match appearances for the Rebels back in 2014 scoring 316 points and 54 bonuses, a season in which the Rebels finished as league runners-up, beaten by a single point in the play-offs by Edinburgh and Todd is determined to go one better this time around. "It has been a while since I have ridden for Somerset but it is a place I am quite familiar with and really enjoy coming to. We all know that 'Gazza' won't settle for anything less than trophies at the end of the season and I am determined to try and do my bit to deliver. Gazza has put a strong side together and it is down to us now. I am really looking forward to the challenge." 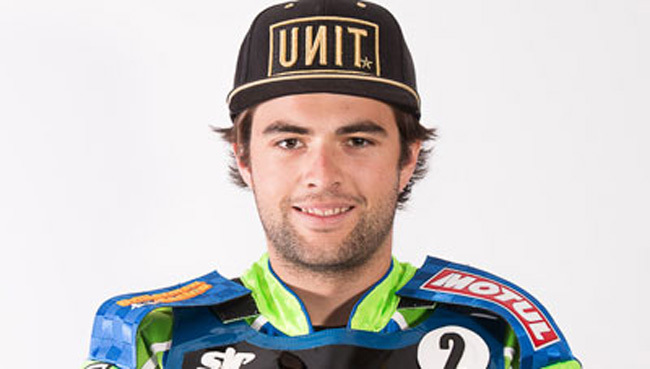 Confirmation of Todd as a starter completes the Rebels line up that will feature Rory Schlein, Chris Harris, Nico Covatti, Todd Kurtz, Dimitri Berge, Anders Rowe and Henry Atkins.